The Java Fern (Microsorum pteropus) is an amphibious plant from Southeast Asia, which grows in the wild along the banks of streams and rivers. It is equally happy fully submerged, or projecting partially out of the water. 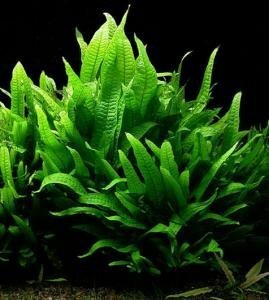 It is one of the most visually appealing plants to include within the goldfish tank, with long, flat leaves in a mid-green shade that grow to around 8” tall. Java Fern can be planted either individually or in small groups. They work well when planted in the middle of the tank in combination with other plants and decor, as they will not grow tall enough to obstruct your view of the plants behind them. Java Fern thrives in both shade and moderate light, but tends to wilt slightly if the conditions are too bright. The Java Fern will not generally root if planted directly into gravel or other substrate, but should instead be weighted or tied to driftwood or rocks to allow the plant to take root. No special fertilizers are required for this plant. 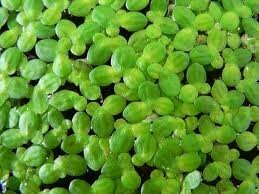 It is fairly hardy and will thrive across a range of temperatures and within a pH level of 6-8. Java Fern can live for many years, and will continue to propagate new growth as part of the natural lifecycle of the plant. 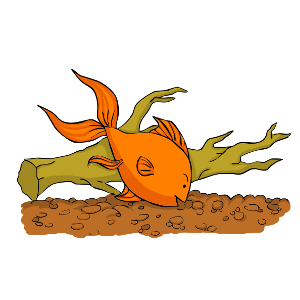 As every goldfish owner knows, goldfish can be hard on plants, and have a tendency to snack on tasty leaves and new growth! The Java Fern is a particularly good pick for planting into goldfish tanks as the leaves have a slightly bitter taste, increasing the likelihood that your goldfish will leave them alone and find something more palatable to snack on! Java Fern can generally be found for sale among other popular and common freshwater tank plants. 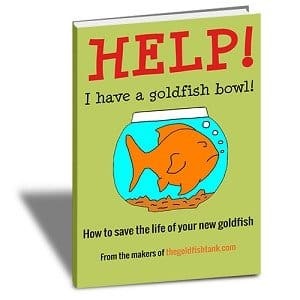 You shouldn’t have any problems finding them in the tanks at your local aquarium retailer or pet shop. You can also order them online for delivery to your door to make life even easier! A beginner-sized Java Fern for your goldfish tank will usually retail at around $5, or a little less if you buy several or take advantage of multi-buy deals, which are often offered on goldfish tank plants by retailers.